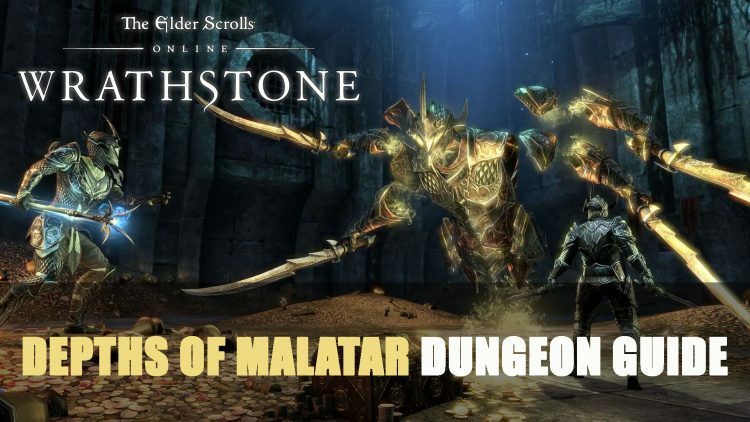 In this guide we will take a look at Depths of Malatar Dungeon and provide tips on how to beat many challenges this dungeon throws your way. 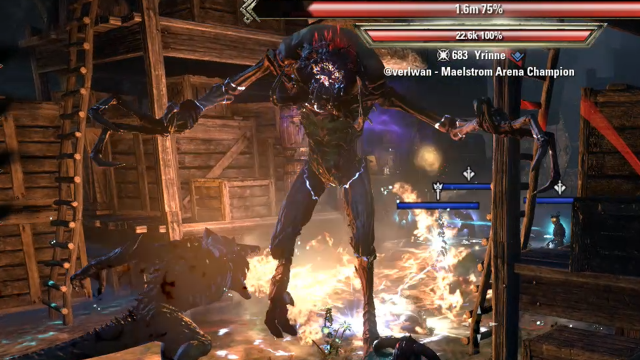 Depths of Malatar was been introduced to Elder Scrolls Online with the Wrathstone DLC, that launched February 25th 2019 on PC and March 12th on Xbox One and PS4. Depths of Malatar is fun dungeon to experience, with 5 bosses and some nasty mob pulls. Bosses are mostly not terribly difficult to get through, except the last one which can be pose quite the challenge, especially in Veteran Mode. Trash that you find between boss fights are mostly common ones that just need to be stacked and countered with AoEs. However after the easy early pulls, Stone Watchers are added to the mix making the fight much tougher. They have wide a variety of attacks but mostly focus on AoE damage. The rest of the group should not be positioned closely to doughnut-like AoE and only the Tank should stay inside it. It does significant damage and can kill DPS and Healers easily. For the most part, these stone watchers do not arrive on their own, and come accompanied with additional common mobs, that you have encountered previously. Focusing on smaller adds first with the Tank keeping Stone Watchers busy is the way to go. The first boss you will encounter in this dungeon is The Scavenging Maw, it needs to be taunted and turned away from the group. It does a nasty conal AoE attack that can significantly damage other party members. Tanks can endure this but the problem for this role is the additional ground AoE attack that follow the conal one. Damage from these two attacks combined can take down a Tank, and that is why it is vital for the Tank to move out of the ground AoE. 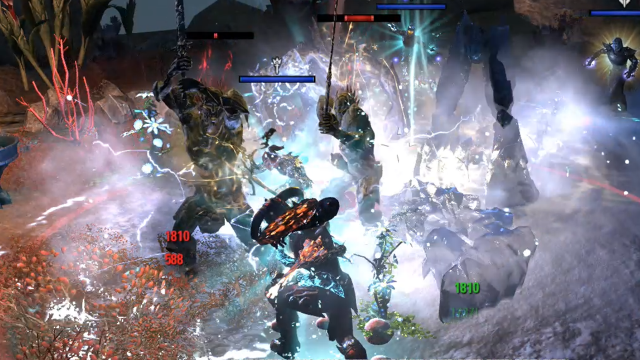 While this is happening, the boss will also summon additional AoE circles on each player. Make sure these circles do no overlap otherwise huge damage occurs. Maw does nasty series of attacks. Walk out of AoE circle to avoid lots of damage. A special mechanic here is when the boss disappears during the fight and it is up to the players to find it. 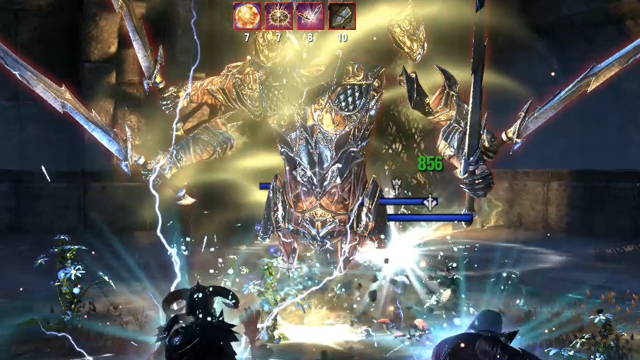 The best way to tackle this is to stick together while searching for the boss, because the boss performs a very dangerous channelling attack upon the player that finds it first. This attack needs to be interrupted. The second boss is less problematic, thankfully. The only mechanics to watch out for are the AoE circles that spawn around the boss, these come in various shapes and forms. It is best to stay outside the any AoE on the ground and you’ll be fine. This fight requires lot of mobility to pull off. There are adds present in this fight as well which need to be killed ASAP, since the two-handed add deals a significant amount of damage. Prioritise DPSing the adds, followed by the boss. The third boss is an Orb that is found floating in the middle of the room. 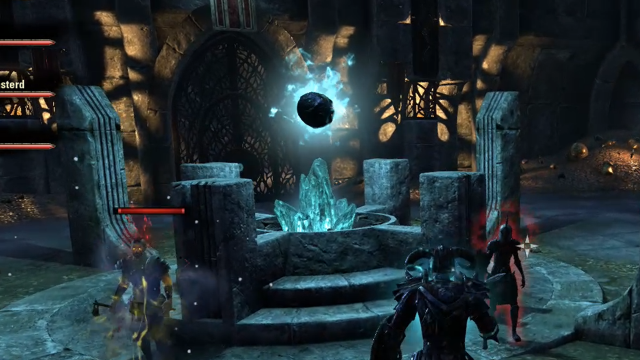 The great problem here are the Auroran adds that the Dark Orb constantly heals. They will spawn throughout the fight and the tank needs to keep them on himself at all times. 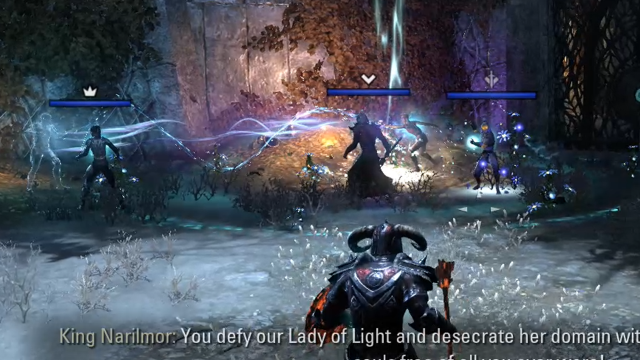 Either draw the adds away from the Orb while the group stays there constantly, or tank them near the Orb, so that they receive AoE damage. They spawn rather quickly after they’ve been killed, so it is up to you to decide which approach you wish to take. DPS in this fight should focus on the Dark Orb. The Dark Orb summons 4 more orbs that empower Aurorans. It is obvious when this is about to happen because a warning text appears saying “An Orb is empowering Aurorans”. These Orbs grant the corresponding Auroran a more powerful ability, for example Radiant Orb empowers Radiant Aurorans, Scintillating Orb empowers Scintillating Aurorans etc. Orbs need to be dealt with as quickly as possible. When these Orbs spawn, the Dark Orb cannot be damaged, so there is nothing to do besides killing them and all of the adds, so that the Dark Orb can be damaged once again. The fourth boss you will encounter is King Narilmor himself and this boss is not too difficult to deal with. His main mechanic is to split himself into 4 cloned versions. Best way to approach this fight is to get the Tank to gather all 4 clones and for the DPS to lay down AoEs. Another way to do it is for both DPS to focus on one and take it down fast, then switch to another and so on. After clones have been dealt with, Narilmor gets back to his usual self leaving only one target. The unique mechanic here is in regards to the NPC Tharayya, at the beginning of the fight she will start battling a ghost. 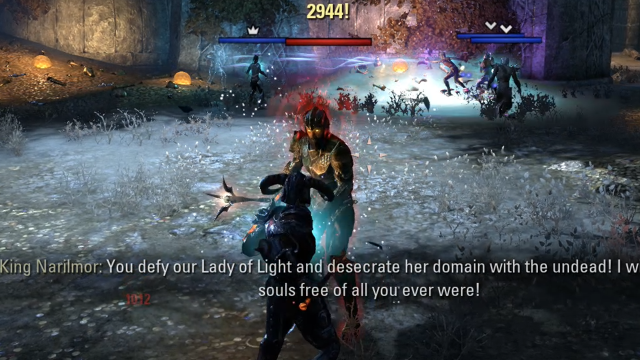 If she losses all clones get a shield buff that makes them more difficult to kill, making the fight far more dangerous. To prevent her from losing, the Healer needs to heal her continuously. The final boss is quite a dangerous one, due to the use of Auroran Wall that insta-kills anything it touches. 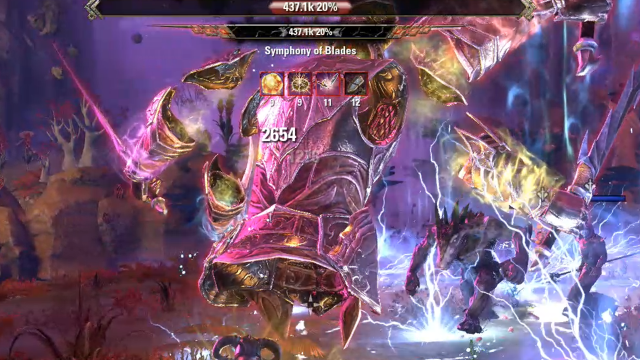 On its own, the boss does 2 attacks consisting of spinning and heavy. 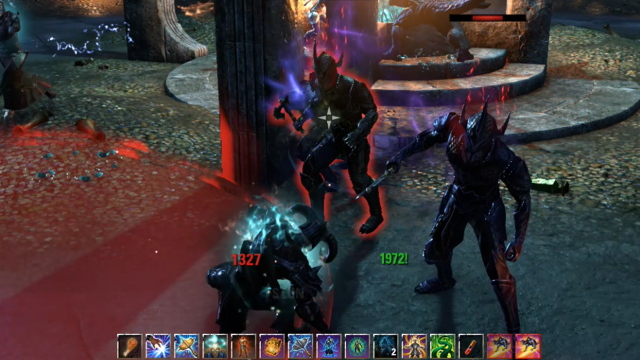 The tank should be able to block and deal with the damage from both, while others in the group will need to stay clear. Eventually the Auroran Wall will spawn and starts making its way across the room. The DPS will need to work together to kill Aurorans in the wall to make enough space for everyone to pass through safely. One dead Auroran should be enough to clear a gap. When the boss puts his 4 swords into the ground, a healing debuff is applied so be prepared for that as this happens frequently. During the fight there will be a point where the boss will become invulnerable, and will summon 4 Aurorans one in every corner of the room. They will start walking slowly towards the boss. If they reach him, he will have empowered attacks, which is similar to the empowering orbs in the previous Dark Orb fight. The Execute Phase is very chaotic due to many walls coming at you at once and the Boss being empowered with all 4 Elemental Aurorans. The boss also heals up to about 25% Health when entering this phase. Kite the boss around the walls, DPS while doing so and he should be brought down. Veteran mode introduces some new elements besides the usual more health and damage.The Dark Orb (third boss) is summoned a couple of times throughout the fight and needs to be taken out to stop the empowering boss’ attacks. This is especially problematic at the Execute Phase due to sheer number of Auroran Walls being spawned, that travel in all directions. Also the boss heals up to 50% HP instead the usual 25% he gets in normal mode to make matters worse. Depths of Malatar is not that tough on Veteran except for the last boss. By running every boss 1 or 2 times everything becomes much easier but that is same as with every dungeon. Normal mode can be beaten easily with full CP 200-300 party but for Veteran, proper gear and higher CP levels are required. Last boss is very difficult so do not attempt Veteran if not prepared. Overall this dungeon is a fun challenge with some nasty add pulls and unique bosses. With this guide you’ll know what to expect going in, so go out there and have fun conquering Depths of Malatar! You can also check out our Frostvault Guide for tackling the other Wrathstone dungeon! If you’re curious to find out more about new sets, PvP updates, CP cap halt, Racial skill changes and more for Update 21, head over to our Elder Scrolls Online Wrathstone: Racial Changes & New Sets. You can also read about a couple new sets in detail Icy Conjuror Set and Frozen Watcher Set which came with the Wrathstone DLC. If you’re curious about what the future holds for ESO, check out next Elder Scrolls Online: The Champion System & The Future Of ESO In 2019. Pretty much born with gamepad in my hands and been gaming ever since. Love for RPGs started with Fallout 1 and 2. Free time is used for more gaming, training, watching MMA, soccer, movies and moaning about today's world and the stuff that kids do these days. What do they do besides phones and CoD anyway?